The Air Zoo offers seasonal programs for your campers. Classes are age/ability based and range in duration. Check the website calendar often for spring and summer camps! Camp registration fees vary by camp. Air Zoo members receive 10% off all camps. Financial Aid and Scholarship funds are available! If applying for Financial Aid/Scholarships, please submit your application prior to registering for camp. Click HERE to apply on line. This summer, give your kids a summer camp experience they'll remember for the rest of their lives! (They'll learn a lot too, but we don't have to tell them that). The Air Zoo Summer Science Camps are the coolest camp offerings in Southwest Michigan, and are sure to thrill even the most discerning camper! See why the Air Zoo is quickly becoming one of the nation's top aerospace and science education centers! 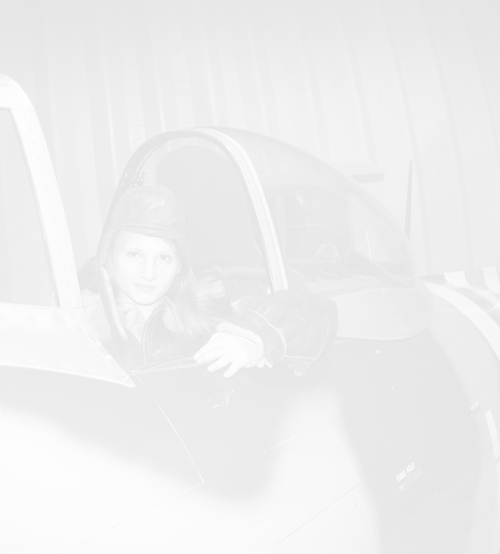 Air Zoo Summer Camps make a great gift! Our professional educators will share the thrill of science, technology, engineering, art, mathematics (STEAM), and aerospace science with campers through TONS of hands-on activities and interactive experiments. Campers will get an in-depth look at the Air Zoo, including the full-motion flight simulators and much more! Because some portions of the camp will take place outdoors, campers need to dress appropriately for the weather. Each registered camper will be provided with full-day access to all rides and permanent exhibits for each day of camp. Campers also receive fantastic take-home items and an exclusive Air Zoo T-Shirt. Registrations are due no later than two days prior to the camp start date. Later registrations may be accepted based on availability. Campers should be registered for camps based on the grade they will be attending in the fall of 2019. Extra half day of rides, museum exploration, and games for half-day campers in K – 12th grade camps. 9am – 1pm for $20/day or 12pm – 5pm for $25/day. Extended camp day from 4pm - 5pm is available for full-day campers. $5/day. Lunch from the Kitty Hawk Cafe may be purchased by full-day campers at registration. $6/day for turkey sandwich, hot dog, grilled cheese or chicken tenders lunch. The Air Zoo recommends that campers bring a water bottle and morning or afternoon snack, as applicable. Air Zoo members receive 10% off all camps. Financial Aid and Scholarship funds are available! If applying for Financial Aid/Scholarships, please submit your application prior to registering for camp. Click HERE to apply on line. For questions or more information, contact the Air Zoo's Events Department via at events@airzoo.org, or 269.350.2848. Kids, your favorite adult is welcome to join you at camp so you can have twice the fun! Put on your goggles and get ready for some chemistry fun! Mix up some ooey, gooey slime and learn about slimy subjects found in nature! Discover chemical reactions using your senses and clean up with some slippery soap bubble experiments. Get ready to get dirty! Explorers will collect and examine plants and animals from around Air Zoo property, see how they live and survive, and learn how to care for the environment. Games, nature crafts, and outdoor expeditions are planned for each day! This camp is the blueprint for fun! Young architects will explore shapes and patterns while constructing towers, sculptures, pyramids, and other structures. Become an astronaut in training and launch into space! Explore the solar system and see the planets and stars in the STARLAB planetarium. Experience what it would be like on the moon by making craters and simulating the feeling of walking on the moon. Design a paper rocket and launch a variety of rockets into the sky. 3…2…1…Blast off! Come meet creatures that slither, fly, creep and run while learning about animal superpowers and wildlife conservation in this wild camp. Get up close and personal with live animal visitors and hunt for butterflies and other critters on the AirZoo campus. On Monday through Thursday camps are 9 am – 12 pm, but on Friday animal lovers will enjoy a trip to the Binder Park Zoo for a full day from 9 am – 4 pm. Take to the skies and enjoy flight science! Young pilots will fly hot air balloons, airplanes, gliders, and other fun flying things as they learn about the forces of flight that defy gravity. Up, up, and away! This camp, should you choose to accept it, will hone your code cracking, disguise making, and enemy dodging abilities in order to become a highly trained secret agent. This message will self-destruct in 5 seconds. This camp is a messy kid’s dream, full of blending, mixing and measuring! Make your own slime, fizzy bath bombs, and more as you learn why some potions bubble and others turn to goo! Excite your inner scientist by creating your own camp experience! Register for all five days of Mission Possible to get a discounted price. Invite a friend for twice the fun! Monday: Superhero Science – Defy the laws of nature during this extraordinary camp experience for super boys and girls! Create secret identities, earn superpowers, and lead rescue missions while testing your strength of body and mind. Don your capes and masks to save the day! Tuesday: Rocketry – Gain a working knowledge of physical forces and Newton’s Laws of Motion through racing the force of gravity, creating real-life action/reaction scenarios, and building and launching your own re-usable model rockets. Wednesday: Biology – Put your dissection skills to work, sample pond life, and make a terrarium in this environmentally-fun day. Let’s cell-e-brate Science!!! Thursday: Super Sleuths – Do you have what it takes to investigate a crime scene and figure out “who dunnit?” Put all of your senses and scientific skills to the test in finding clues, examining fingerprints and “blood” splatter, and breaking secret codes to solve a puzzling crime. Friday: Astronomy – Explore space in the Air Zoo’s portable STARLAB planetarium! Study the life, death, and rebirth of stars and find out how telescopes work. Explore the universe and create your own planetary necklace or keychain. Discover the mythology of constellations and make a 3D constellation of your choosing! Try your hand at design and architecture and create your own awe-inspiring structures. Explore the science of shape as you plan and build model bridges and other constructions. Test your projects to see how much strain they can take before they crumble, and discover the fatal flaws of structures throughout history. Grab a trowel and dig up fossil evidence of the creatures that lived long ago, from minuscule mollusks to might mammoths! Discover dinosaurs of all shapes and sizes and find out what fossils can tell us about how they lived and what life was like millions of years ago. This camp includes a visit to Western Michigan University’s awesome fossil collection and a start to your own fossil collection! Design, build, and program a LEGO EV3 robot to complete daily challenges. Use your creativity in modifying your robot design to navigate a maze, locate a target by sound, and push your opponents off a challenge mat! Invite your family to be spectators at the final showdown on Friday afternoon! Note: Campers do not get to keep the LEGO robot. Ignite your love of science with cutting-edge experiences with the Air Zoo’s STARLAB planetarium, rocket building and launching, and astronaut training! Command space missions, safely observe sunspots with a real telescope, drive a rover on Mars, and participate in the Space Olympics! Design, build and program a LEGO Mindstorms EV3 robot to complete challenges based on First Lego League’s Trash Trek Challenge. The Trash Trek Challenge is about what happens to things when we think we’re done with them and imagining how we might be able to innovate our way toward ZERO WASTE one day! Campers will program their robots to complete complex tasks such as sorting, transporting, and recycling materials, cleaning up contaminated sites and much more. Invite your family to be spectators at the final challenge on Friday afternoon! An introductory Lego Robotics experience is a prerequisite. Note: Campers do not keep the LEGO robot. Monday: Remote Control Derby Day - Join our friends from Hobby Sports and the Kalamazoo Carbon Flyers quadcopter drone club as you drive, hover, and fly a variety of machines. Bring your own remote-control toy to see how well you can do on the competition course! Tuesday: CSI 101- What does it take to solve a crime? Join the Air Zoo Bureau of Investigation and find out as you investigate a crime scene, examine fingerprints, and analyze trace evidence from a crime scene at the Air Zoo! Can you solve the crime? Wednesday: Aviation STEM Academy – Investigate aerospace careers as we tour Duncan Aviation, WACO, and WMU’s Aviation College in Battle Creek. Create a wing design and test it in our wind tunnel. Thursday: Behind the Scenes at the Air Zoo- Explore what makes the Air Zoo possible in this day of behind the scenes fun! Visit the offices of top directors, tour the collections department, and build your own mini exhibit! Friday: Gizmos and Gadgets – Does your younger sibling go into your room uninvited? Would you like to be able to see what’s going on behind you? Work with a gadget or discover a gizmo to help construct an alarm system, a sight device, or a contraption of your own! Monday: Tinkerer’s Workshop – Tinkerers take machines apart to see how they tick, experiment with materials and ideas to understand their capacities, and build things to the limits of their imaginations. Then, with access to a wide variety of materials and tools, campers will forge creations of their own designs. Tuesday: Chemistry – What happens when you mix a little bit of this with a whole lot of that? Find out in this fun and potentially messy camp! Behold the power of pennies, separate substances using science and explore things that glow. Seek out the element of surprise and learn why chemists have all the solutions! Wednesday: Rocketry – Gain a working knowledge of physical forces and Newton’s Laws of Motion through racing the force of gravity, creating real-life action/reaction scenarios, and building and launching your own re-usable model rockets. Thursday: Biology – Put your dissection skills to work, investigate with microscopes, and extract some DNA while accommodating your inner Mad Scientist! Serious Staph only!! B. cereus!! Friday: Light Up – Is light exciting? You think not?! Find out how light can be fun by exploring lasers and constructing a laser telephone. Harvest light and create a working telescope and discover how light travels in fiber optics by making your own fiber optic lamp. Switch on the light to excitement! Join the Air Zoo and several of the art studios in the Park Trades Center to explore the science of art. Each day will be a new experience in creating art while learning the science behind it from the artists themselves and Air Zoo educators. Monday: When Science Meets Art: Kick off the week by combining science with art! Use acids and bases to make a painting, explore physical change as you make a functional piece of art, grow a colorful crystal, and more! This day takes place at the Air Zoo. Tuesday: Glass Art and Book Art – Campers will visit Glass Art Kalamazoo to learn the art of glass blowing and create their own fused glass decorative pieces and beads. The afternoon will be spent at the Kalamazoo Book Arts Center where campers will make paper to begin their own journal making project. This day takes place at the Park Trades Center. Wednesday: Art and Nature: Take inspiration from the Mother Nature and use a variety of natural materials to make art! Mix your own paint with pigment from fruits and spices, use nature to create a series of unique prints, learn about ephemeral art, and more! This day takes place at the Air Zoo. Thursday: Glass Art, Bead Art, and Book Art – Campers will continue the Glass Arts creations, then incorporate their glass beads into bead designs with Beadventure. In the afternoon they will return to Kalamazoo Book Arts Center to continue their homemade journal by using a printing press to design the cover made from the paper they made previously. This day takes place at the Park Trades Center. Friday: Dimensional Art: Explore the world of 3-dimensional art! Create a variety of sculptural pieces out of materials like wire, string and nails, and more! Also complete your homemade journal from Kalamazoo Book Arts! This day takes place at the Air Zoo. On Tuesday and Thursday campers are to be dropped off and picked up at the Park Trades Center rather than at the Air Zoo. On Tuesday and Thursday campers must bring a sack lunch. Weather permitting, they will walk with the camp staff to Bronson Park for a picnic lunch. 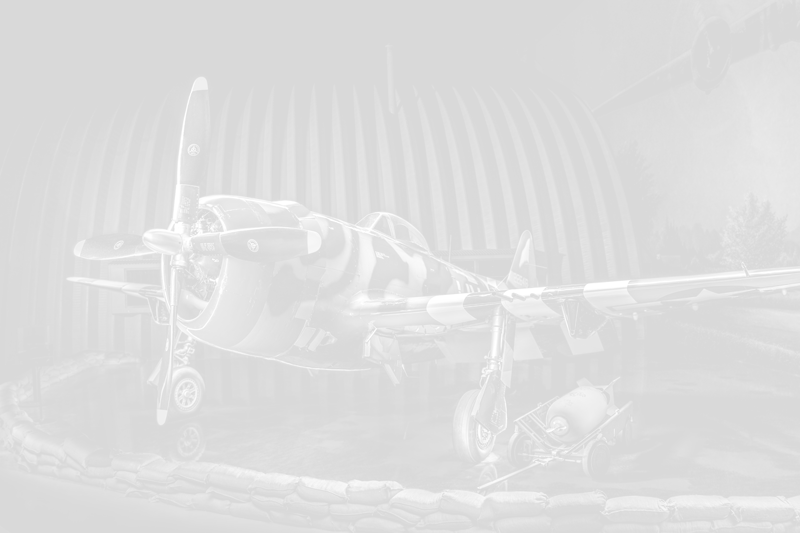 Work with the professional restoration crew at the Air Zoo to help bring one of the World War II aircraft that was recently raised from the bottom of Lake Michigan closer to exhibit condition. Learn skills such as riveting, wing rib building, and cable swaging, and take a behind-the-scenes tour of the Flight Discovery Center. Work with teammates to complete challenges in this Advanced Lego Robotics camp based on the FIRST Lego League. An introductory Lego Robotics experience is required as a prerequisite, as this camp will focus on more sophisticated programming and complex problem-solving. Invite your family to be spectators at the final showdown on Friday afternoon! Note: Campers do not get to keep the Lego robot. Western Michigan University in partnership with the Air Zoo runs a week long overnight summer camp focusing on the exciting field of aviation. At WMU, investigate piloting in simulators and real Cirrus SR-20 aircraft, explore hands-on aircraft maintenance, and learn from speakers in the industry. On Thursday, travel to the Air Zoo to assist the restoration crew in returning two World War II aircraft back to museum quality condition and climb into the cockpits of some of the amazing aircraft from the past. The Air Zoo is teaming up with Portage Parks and Recreation to provide some of the same camps you love to attend at the Air Zoo – at Schrier Park! Design, build, and program a LEGO EV3 robot to complete daily challenges. Use your creativity in modifying your robot design to navigate a maze, play a song, and push your opponents off a challenge mat! Invite your family to be spectators at the final showdown on Friday afternoon! Note: Campers do not keep the LEGO robot. Design, build and program a LEGO Mindstorms EV3 robot to complete challenges based on First Lego League’s Trash Trek Challenge. The Trash Trek Challenge is about what happens to things when we think we’re done with them and imagining how we might be able to innovate our way toward ZERO WASTE one day! Campers will program their robots to complete complex tasks such as sorting, transporting, and recycling materials, cleaning up contaminated sites and much more. Invite your family to be spectators at the final challenge on Friday afternoon! Introductory Lego Robotics experience is a prerequisite. Note: Campers do not keep the LEGO robot.